Trusts are an increasingly popular way to protect and distribute assets to loved ones after death. Once a trust is established, the person charged with managing the trust property, the trustee, holds a high level of responsibility to treat these assets in a manner that best protects the interests of the beneficiaries. Given the high level of responsibility and trust a trustee holds, the law imposes a number of requirements on the use, accounting, and distribution of trust assets. While most trustees generally make a good faith effort to comply with the terms of the trust and the provisions of Florida trust law, others may ignore or violate these requirements, either intentionally and through neglect. The rights of the beneficiaries, along with fulfilling the intended purpose of a trust, are the primary factors driving court decisions when challenges to the action or inaction of a trustee are filed. Beneficiaries and other interested parties can seek court intervention when they believe the trustee is harming the value or stability of the trust, and want to prevent further damage. Freezing trust assets is one powerful method used to rein in trustees, and a discussion of when and how this restraint is imposed by courts will follow below. 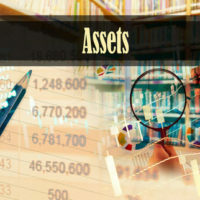 the public’s interest is best served by maintaining the status quo concerning trust assets, which means trying to preserve the maximum amount of trust property. Asking for this kind of injunctive relief is usually accomplished through an emergency motion, which allows the requesting party to appear before a judge in an expedited manner, instead of the months it can take to have a regular hearing scheduled. Florida statutes specifically authorize courts to remedy breaches of trust by a trustee, and wasting or mismanaging trust assets would certainly fall under this category. Injunctions, being emergency motions, are routinely issued without the presence or participation of the other party, which in practice means the party asking for relief will need to produce strong evidence in support of his/her claim to overcome the due process considerations. Evidence showing the factors described above must be submitted, and usually come in the form of sworn testimony, affidavits, or verified pleadings (certifying the claims made are true). Once an injunction is issued, it will stop the current injury and prevent further harm. In addition, an injunction pauses the development of new facts, so the parties can litigate the matter under static circumstances, which better facilities a final and satisfactory resolution. Trusts are often important to the financial security of many individuals within a family, so making sure it is properly executed and followed is extremely important. If you have concerns about the actions of a trustee or terms of a trust created by a family member, talk to William Rambaum. With over thirty years of experience handling estate planning and elder law matters, William Rambaum can help you ensure the trust is handled properly. Contact the Oldsmar law firm for an appointment.